I tend to name my photo posts based on what they are, or what you can see in the photo. In this case, I named it based on what you see when looking from top to bottom. I must say, sometimes it gets difficult coming up with a name each time I post! 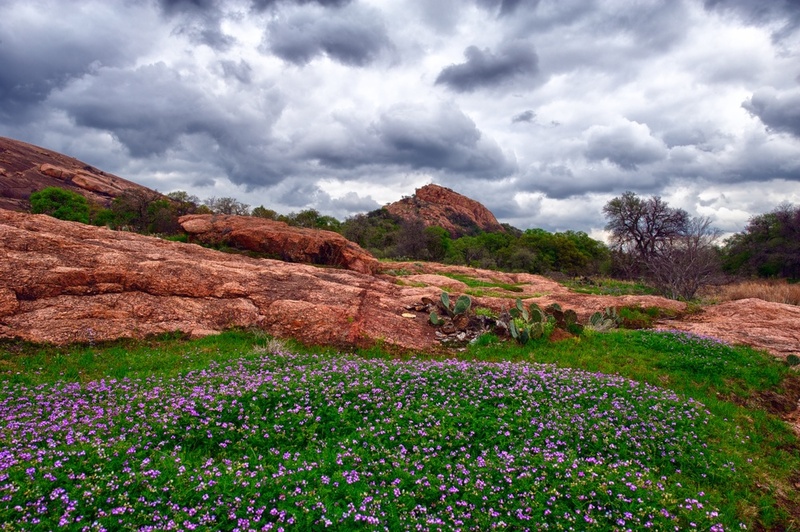 Here's another shot from my recent wanderings around Enchanted Rock up in the Texas hill country. It was an awesome day for shooting - at least in my opinion. Lots of folks want bright blue skies when they are out shooting, but I prefer some interesting clouds any day. I feel like it adds a layer of drama that a clear sunny sky just can't compete with. I could spend hours shooting in this area and hiking around - there is a lot to take in and the park itself is rather large. And the pinkish granite provides a nice color pop!